One of the most inevitable annoyances with cat ownership is the fact that cats are naturally very jumpy creatures. Very quick to annoy or scare, and thus get irritated very easily. And any cat owner will tell you that calming down your fussy feline is a herculean task in and of itself. For this reason, smart cat owners always turn to the cat calming products. There are many different types of cat calming products out there, from infusers to plug-ins, to collars, to even medications. But this list doesn’t focus on any of those. Instead, it focuses on a particular cat calming product: cat calming sprays. Now you’re probably thinking to yourself, why would spraying water in a cat’s face calm them down? If anything, that would make them more agitated. 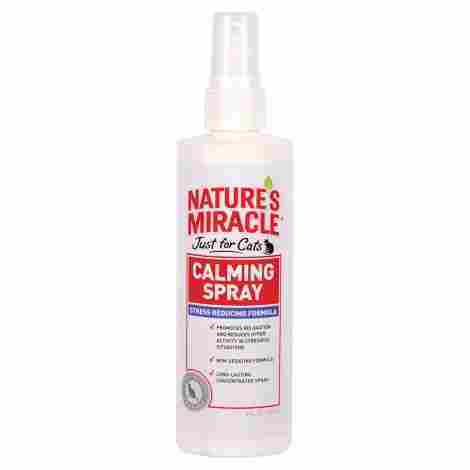 However, this calming spray contains pheromones that are specially designed to calm down cats. And no one does it better than the ten on this list. So, if you need a good cat calming spray for your fussy feline, then you can’t do much better than these top tier calming sprays. There are two renown makers of cat calming items, that tower above all others. Comfort Zone is one of these companies, making some of the best cat calming sprays on the market, including our #1 spot here. Let’s say you don’t have time to keep spraying your cat every time they suffer a bout of separation anxiety or are just incredibly nervous. With this, you can just load the spray into the diffuser if you have to and let it do the work for you. Most cat calming sprays only work on general anxiety, but when it comes to things like separation anxiety born out of your cat becoming incredibly attached to you from kitten-hood, most come up short. Not the case Comfort Zone, though, which makes sure to include pheromones that keep your cat calm even through the worst bouts of separation anxiety. This brand of cat calming spray can be rather pricey, but considering the services offered, many consider it more than worth the price. This calming spray may come in smaller bottles than other brands, but make no mistake, that is only because it packs quite a bit more punch than other brands. This cat calming spray will have your cat returned to a docile mood in half the amount of the leading brands. If you or your cat have sensitive skin, then you’re probably not keen on spraying cat calming spray on them, for fear that the alcohol that’s usually contained within these sorts of sprays to irritate their skin. In which case worry no longer, because Pet Mastermind’s more herbal blend forgoes the alcohol entirely, leaving this spray a must have for cat owners with sensitive kitties. Unlike other sprays, this spray blends its pheromones in with a very unique herbal solvent that doesn’t just influence the cat’s behavior and call it a day, but rather actively calms the cat down. This is one of the cheapest entries on this list, standing at a price of only about $20 at most. This means that you can get one of the best cat calming sprays on the market a half the price of the leading brands. Nature’s Miracle is a rather obscure brand, as cat calming sprays go, but do not take that to mean that their product is inferior. 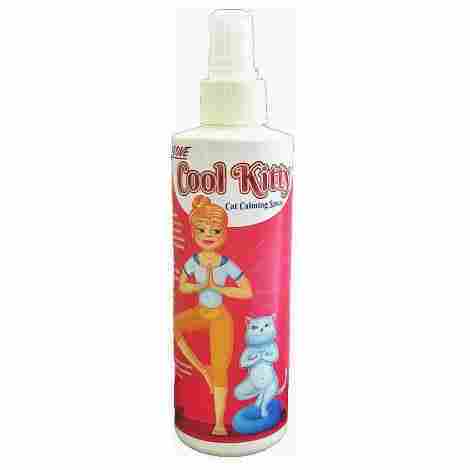 In fact, it’s one of the best deals you can possibly get for cat calming spray of this quality. With other sprays, you’re guaranteed a few minutes, maybe an hour before reapplication needs to be done. With Nature’s Miracle, application can last hours or even a full day before the effect wears off. Maybe you want your cat to be calm, but you don’t want them to fall asleep. In that case, this spray has you covered as well, as the formula used to make this spray is calming, without being sedative. So, your cat will calm down, without falling asleep in the process. This option is by far and away the best deal this list has to offer. Meaning that you can have one of the best cat calming sprays on the market right now for the price of a fast food burger. Some of you may be reading this list and being turned off by the idea of influencing your cat with pheromones. While you can rest assured that every single one of the sprays on this list has been tested thoroughly to make sure that not even one is actively harmful to cats, that is a fair concern to have. 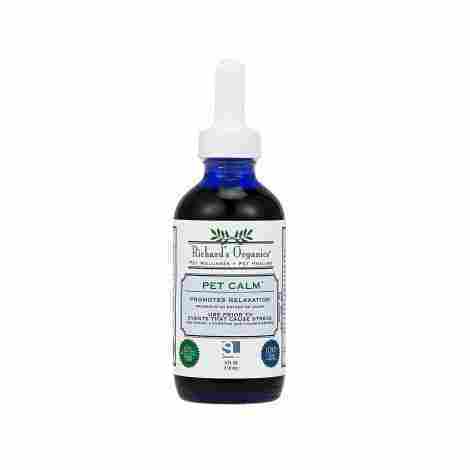 Luckily, you are not without options, as SynergyLabds Richard’s Organics Pet Calm has just the solution for you. Whereas other cat sprays have relied on pheromones and other sketchy chemicals to get the job done, this cat calming spray instead relies on soothing herbal blend as its base with no pheromones or alcohol to taint the mixture. This results in a completely healthy concoction that is just as effective as the leading brand. Maybe, however, your cat is completely well behaved, but your dog is a rowdy troublemaker with nerves so fragile a feather could set him off. In that case, this spray has you covered, with its ability to work on both cats and dogs at the same time. This is one of the best deals you can find for cat calming spray this effective and this natural. Truly worth the small investment! At #5 we have what is perhaps the most famous purveyor of cat calming products: Comfort Zone. Comfort Zone has been providing quality cat calming spray for years, and their main title is top shelf quality. Whereas other cat calming sprays use real cat pheromones and hope for the best, Comfort Zone have actually developed a synthetic, universally usable pheromone that is accepted by all cats biologies. This spray safely mimics pheromones, without having to risk actually using them. With other sprays, it varies on where on the cat you can actually spray in order for it to work properly. But with Comfort Zone’s spray, it can be applied anywhere on the cat’s body, and it will work fine. This product comes at a pretty average price for cat calming spray, all things considered. 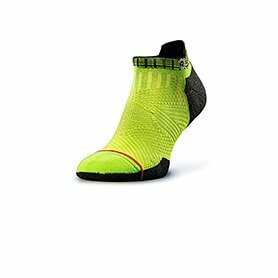 Though there are cheaper options on our top ten list, with Comfort Zone you know you are getting a quality product. Unlike other cat calming sprays, this spray works in a spritz form that shoots off the calming pheromone in quick little bursts. What this means is that the formula that makes up this spray is not only stronger, but so much so that continuous stream would be overdoing it, so they changed it to a spitz form. Sometimes it’s not enough that your cat be doused with the pheromone, as they may still be able to keep doing what they’re doing. For this purpose, Sentry has equipped this bottle of cat calming spray with an attention-grabbing noisemaker that will get your cat’s attention away from whatever it is they’re doing. Thus, when it hits them, they will be distracted away from what they were doing, allowing the relaxant to take effect. You could use this just once or twice every now and then when your cat exhibits undesirable behavior. Or you could consistently apply this to your cat and see long-lasting beneficial behavioral changes. The latter is definitely the option you should take if your cat’s behavior is particularly erratic. The cost of this spray will vary depending on the retailer. But it tends to come in at a rather average price in comparison to other products on our list. The difference between this cat calming spray and others is that it’s not meant to be used on your cat personally. It’s solely meant to be applied to objects that you don’t want your cat touching. Which can be seen as a downgrade, but it actually isn’t as big a downside as that may sound. It won’t take much application, just a spritz or two, and your cat will stay far away from whatever you applied the spray to. It’s easily one of the most effective object deterrents on the market right now. It’s easy enough to use one of these sprays to keep a cat from scratching, as cats don’t always need to scratch, and so will seek out a better option if they smell the pheromone on the objects you don’t want them touching. However, stopping a cat from spraying is another matter. Thankfully this spray manages just fine. This product stands at a decently reasonable price, bordering on being a bit pricey, especially considering that this is the price for just one bottle. It can be disconcerting using cat calming spray, especially those that utilize pheromones, because quite frankly, most people don’t know what they’re dousing their cat in because most people aren’t well versed in the fields of animal pheromones. Thankfully Sentry helpfully explains what the pheromones in their calming pheromone spray do and how they benefit your cat. Speaking of which. There aren’t just any old pheromones in this formula. The Sentry cat calming spray’s formula contains pheromones specially engineered to imitate those of a mother cat, which will not only relax your cat, but reassure them as well. It’s been proven that one of the most calming scents for humans is that of lavender. The smell just has this calming effect on our minds, that just brings the mood up no matter what. So, it helps that this spray, which will inevitably get into the air, especially during car rides, has the added scent of lavender, to help ease the minds of the stressed out humans in the room. This product isn’t just a very effective means of calming and reassuring your cat, but also a great deal. Pet Organics are a lesser known brand in the business of cat calming products, more known for making other things. However, don’t take that to mean that their product isn’t worth your time, because it very much is. Tired of pet calming sprays with thick, artificial fragrances that suffocate all other smells in the room until nothing is left but the pungent odor? Well you’re in luck, because Pet Organics’ cat calming spray gives off a pleasant, all-natural fragrance. Another synthetic pheromone instead of naturally inserted pheromones this time around. This one specifically imitates pheromones that are designed to help cats calm down during stressful situations. Meaning that this pheromone spray will calm down a cat faster and more efficiently than a lot of other store-bought brands. This is a really good deal that isn’t easy to find anywhere else. Sure, the other entries on this list are around the same price, but there are a whole lot more types of cat calming sprays out there, all for a lot more than what these 10 are asking from you. 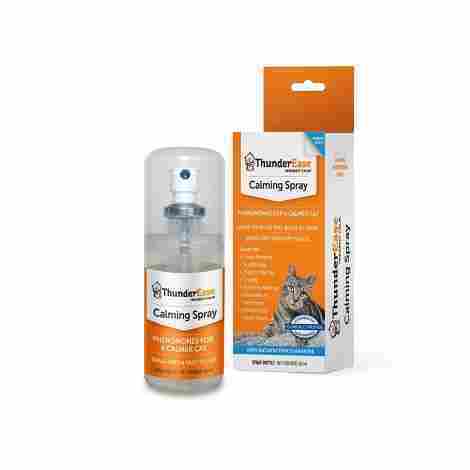 Bringing up the rear, we have ThunderEase Cat Calming Spray. While the other cat calming sprays are highly recommended by pet experts, this is the cat calming spray recommended by actual veterinarians. Why is that? Well there are a few reasons actually as to what makes this cat calming spray so special, let’s go over them now. Not to say you can’t use the other 9 for travel, but this cat calming spray is specially designed to be used on the road. So, when your cat is getting fussy from being cooped up in a carrier in a car for several hours during a road trip, douse them with a few spritz of this spray to help them calm down. If there’s one thing that scares cat owners off from getting cat calming spray, it’s the idea of spraying drugs into their cats faces and potentially their own. Well not to worry, as the solution that makes up ThunderEase’s formula is completely drug and alcohol free. So, rest assured that not only are you helping your cat, but you are using only completely natural materials in doing so. The biggest problem with this spray is the cost, which can shoot up if you aren’t looking in the right place. While it more than makes up for the cost, the fact that there isn’t that much in the bottle on top of everything else doesn’t help its case. Everyone loves cats. They’re sweet, quiet, playful, and are in general little fluff balls of love and affection. However, cats remember their roots, those paranoid days spent in the wild, never knowing what was going to jump out at them next. And so, cats have grown into careful, skittish creatures who can become very nervous by nature if the right stimuli set them off in the right place in the right order. Or maybe you got a cat when it was still a tiny squeaky kitten, it’s become attached to you, and thus gets severe separation anxiety. For this purpose, cat calming sprays were created. Cat calming sprays can seem like snake oil to some, simple meaningless chemicals that you spray in your cat’s face that, at best, annoy them even further. However, there is actual science behind this, to the point where accomplished veterinarians will swear by them, so clearly there is some kind of grain of truth to them. So, if you want to try it out, if the other ideas and routes for a happy, calm kitty are just not working for you whether it’s the collars or the diffusers, try one of these 10 cat calming sprays. Rest assured, you won’t be disappointed. What is the formula that goes into the spray itself? Does it work with pheromones? Does it use natural herbal mixtures? Are alcohol or certain drugs used in the mix to give it that extra kick? These are all questions that should be at the forefront of your mind because what goes into these sprays can have severe effects on the health of your kitty. It should go without saying that drugs and alcohol are two things that you should definitely make sure are nowhere near your cat calming spray, but certain pheromones can also be dangerous. Every cat calming spray needs some number of pheromones in them. It’s just a matter of how dominant those pheromones are in the mixture. An “all-natural” formula just means that the dominant substance is herbs, not that the pheromones have been removed entirely. With that said, try to find out what kind of pheromones are going into the spray you’re thinking about buying. If you don’t know what they are when you read them, look them up. This is your cat we’re talking about after all. Buying the stuff is one thing, actually getting it onto your cat is a whole different ball game. Now with this, you have one of two avenues depending on the kind of spray that you bought: you either have to spray the contents onto the cat itself or onto certain objects you would much prefer your cat not scratching and spraying to a pulp. Both of these can be really hard for their own reasons. On the one hand, you need to convince your cat to stay still for the precious few seconds it takes to spritz the can’s contents onto their bodies or in their faces. Which is of course much harder than it sounds (and it doesn’t sound easy). On top of that, you need to make sure that you’ve applied the right amount of spritzes for it to take effect. And on the other hand, you also need to make sure that the right amount of spritzes work on the piece of furniture you’re dousing. And on top of that, you need to make sure to buy the kind of cat calming spray that works on almost all home appliances, because there are plenty out there that won’t take effect if you spray them on certain bits of furniture. Obviously, you want cat calming sprays that are not only convenient to carry around, but also convenient to use. The bottles that the calming spray comes in shouldn’t be too big, no bigger than a bottle of hairspray. As for convenience of use, this is rather simple. The spray bottle should work as advertised, with no real instruction needed (it is, after all, a simple spray bottle, it should not be hard) and applying it to your cat should also not be any harder than it should be. Many cat calming sprays nowadays have modified their chemical formulas to make it so that you can apply it anywhere on your cat’s body and have it take effect. So those are the ones most recommended if your cat is particularly skittish when nervous. If you want your cat to calm down quickly, then you’re not going to appreciate a cat calming spray that takes forever to actually start working. This gets particularly annoying when dealing with cat calming sprays that take multiple spritzes at multiple points of the day in order to start working properly. The best cat calming sprays, the ones that made it to the top of this list, you’ll notice, are the ones that take one, maybe two, spritzes at once in order to start working. That’s it, you’re done, your cat will start calming down. This is particularly important when you’re on a long car ride and you want your howling cat to simmer down so you can nap through the trip in peace. You don’t want a spray that takes forever, you should find a spray that works as soon as you let it loose. At the end of the day, this is still a spray bottle. It’s one bottle of spray aerosol that helps your cat calm down. This shouldn’t cost you a lot, and it doesn’t. Indeed, the most expensive item on this list is around $20-30 at most, while the cheapest can rank as low as $3 if you know where to look. These are not expensive pieces of hardware, and thus shouldn’t cost like they are. With this kind of product, there’s no shame or problem in going after the cheapest item on the shelf, because as we saw with our #3 spot, it’s very likely you’re picking the very best thing on that shelf. What does versatility have to do with cat calming spray? Well, the thing that put Comfort Zone’s pheromone spray at the top of this list was the fact that it could be used either as a spray or as a diffuser. And what gave SynergyLabs the #4 spot was the fact that both dogs and cats could benefit from the spray being used on them. Versatility is a good thing regardless of what product you’re working with. The more ways a product can help you, the more the money you spent on buying it will be worth it. So always be on the lookout for the cat calming spray that can help you in more ways than one. Q: You’ve talked a lot about cat calming sprays in this article, but how exactly do they work? A: Good question, and it’s actually really fascinating. See, when cats rub their cheeks against certain surfaces, they release a pheromone known as F3 Feline Pheromone. This is the cat’s way of reassuring themselves that the rubbed against area is safe. This is why cats seem so relaxed when they rub themselves up against your leg, they’re literally putting a scent activated sign on you that says “this human is safe, approach freely”. 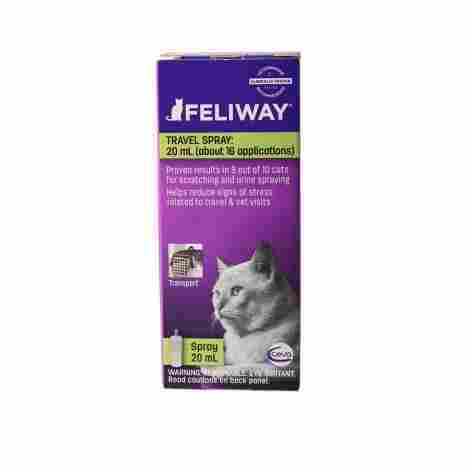 Comfort Zone, Feliway, and other cat calming spray products release a chemical that mimics the pheromone used by these cats to mark something as safe. This is a good way to keep cats from scratching or spraying on anything they find unfamiliar since the pheromone helps them identify it as safe. Or if the cat is acting rowdy out of nervousness, spritzing a little on them and letting the scent get in their system helps them to calm down. Q: So what kind of behaviors does cat calming spray help with? A: When they were first released to market, pet calming sprays helped cats with marking, spraying and aggression problems. But as they were used, customers very quickly discovered that the spray also helped to address other issues like zoomies or scratching. They also found that this spray could be used on dogs, helping them to deal with anxiety over loud noises like thunderstorms or vacuum cleaners. A: Oh certainly, people have found all sorts of alternative means of using these sprays to help with other issues. Some have used sedatives to help ease the cat by making the cat slightly drowsy. Others use more natural sources instead of just using pheromones. This usually involves mixing together a bunch of different herbs together until they form one cohesive whole that simulates pheromones. And some still use pheromones. But opt for a different route. Instead of using the cat’s own pheromones, they use the very different pheromones given off by a mother cat. These pheromones help to ease and reassure the cat in a way that’s more natural. Q: What even are pheromones anyway? A: A pheromone is a type of communication between two chemicals, each belonging to two different species. These chemicals are received through the vomeronasal organ, which is situated somewhere between the nose and mouth. Upon receiving these pheromones, certain things can happen as a result of the animal’s brain reacting to this new information. The pheromones that cat calming sprays are trying to put out are called calming/appeasing pheromones, which cause stress to be relieved in the brain. Q: How do I even know if my cat needs one of these things anyway? A: The cases where your cat actually needs cat calming spray are rare, but when they happen, your veterinarian will prescribe them to your cat. Usually the signs are that of not only paranoid, jumpy behavior, but regularly paranoid and jumpy behavior. Like the cat is clawing at all the furniture out of some great cosmic fear that something is coming, or that the place it’s currently in is somehow unsafe. Or sometimes it can be as simple as your cat having separation anxiety and crying and howling when you leave the house. That’s very stressful for a cat, so cat calming spray can help your cat through this anxiety and live a more independent life. Q: And what if I don’t want/can’t give him the spray, like it just won’t work, the cat is too jumpy. What are my alternatives? A: Not to worry, friend, as the companies that make these products have planned for this eventuality and have developed countless alternatives should sprays not be an option for you. Here are the two most popular. First off there are cat calming collars. These products regularly feed your cat a steady, subtle stream of good vibe pheromones, keeping them nice and calm and, long-term, resulting in them becoming more docile, friendlier kitties. Then there are diffusers, which basically work the same as air fresheners, but with the added bonus of calming your cat down. These are best used if your cat does not like, say, the dining room table, and keeps scratching at it. These will help the cat recognize the entire room as a safe zone. Pretty much every company that makes cat calming sprays also makes diffusers, collars and the like. So, if a spray just isn’t working, then Comfort Zone, Feliway and the rest still have you covered. Pet First, Pet Calming Sprays: Do They Work?